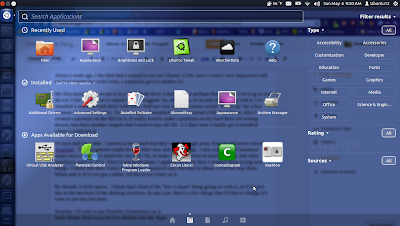 One of my G+ buddies recently mentioned Salix OS, a Slackware Based Distro the other day, as he was putting it on some old hardware. This was just about a week before a hard drive died on an old 256 MB P4 Laptop, that serves as a digital picture frame, and sometimes doubles as a remote "stereo" unit in our living room. This laptop had been running Xubuntu on it, as I had wanted a light distro for this older hardware, but even that seemed a little heavy. Another one of the challenges this machine poses, is that it doesn't have DVD drive, just CD-ROM, nor does it support booting off of a USB. It has only one 1.0 USB port on it. 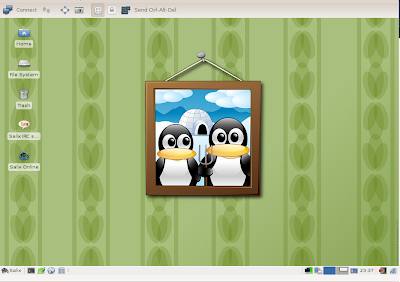 So after searching Distrowatch for another distro, I decided on Salix. After all, someone else I knew spoke well of it. 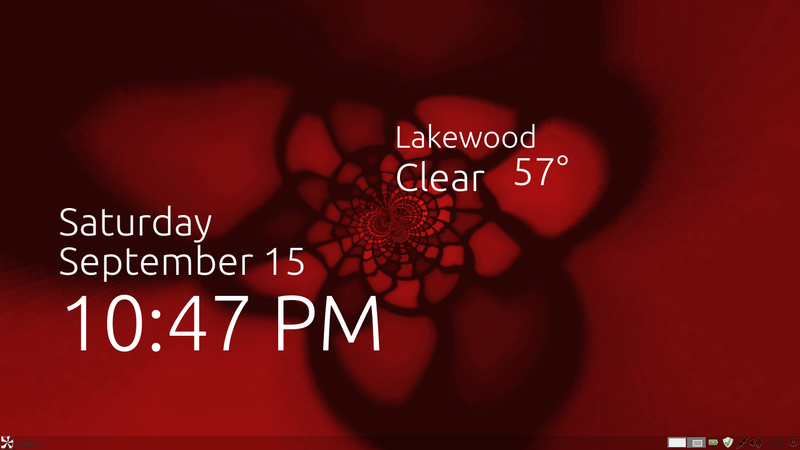 I knew that I was going to get outside of my "comfort zone" with something that wasn't Ubuntu / Debian based. I figured I was up for the challenge. As it turned out, it wasn't that hard. Aside from the need for the Broadcom drivers, for the WiFi to work, the install went smooth. I did the "full" install, and also let it wipe out anything that might be on the drive. Had I not had a network connection via wire, it wouldn't have gone so smooth. Next came the snigglies and snags for me. Not having been baptized into Linux via Slackware, etc, and the floppy disk installs of the 90's, some of the struggles some of you long term Linux fans have triumphed over, I had to do some digging and learning to get the the rest of the system setup as I wanted. If you don't use the "-repeat -forever" it'll boot, and start the x11vnc server, but once you exit your first vnc session, it will not start up again. It took me a little while to get those two additional switches figured out. Next, was to try and get Rhythmbox on it, as it was listed in Sourcery Slackbuild Manager. But it failed due to dependency's not being met. I intend to get back to figure out how to build from source, or at least get it on the system in the future. The reason for wanting Rhythmbox on the system, is so far, Rhythmbox is about the best thing out there that works with DAAP music shares, or at least with the one on my NAS drive. But since that failed to install out of the box, I went ahead and copied the music from the NAS drive to the unit. That backs up the music, something I had considered anyway. Also Rhythmbox handles the Shoutcast Streams if one wishes to add a few to it. I usually do. But, that didn't work out. So had to stick with the default media player of Exaile. Even though I don't need Rhythmbox on it now, it's a puzzle that I want to figure out. Exaile looked like it would work right, right out of the box, as it says it supports DAAP shares. But it didn't find mine. It did work with a manual entry, so it's good to go. Also the Radio Streams didn't work. Audacious and VLC both can do those, so it's good. 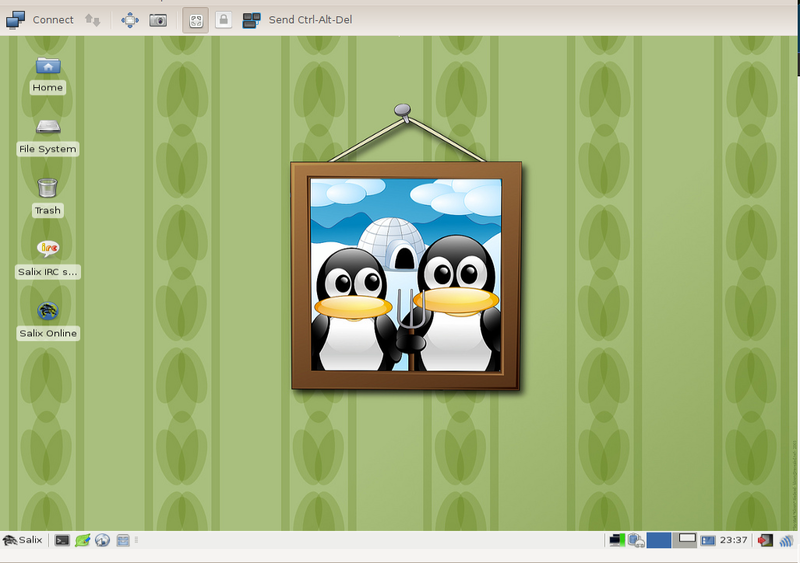 So, overall, I'd say that Salix 14.0 with XFCE is a winner. 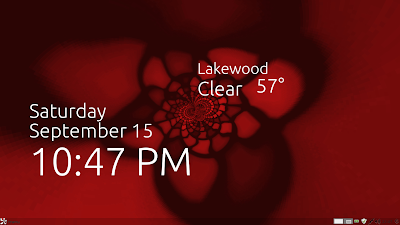 Much snappier than it's Debian/Ubuntu based Xfce counterparts. While I didn't get it EXACTLY the way that I wanted, or had expected, it turned out well for my purpose. As a standalone OS, for most people, I think that Salix would work well, it has LibreOffice, and handles network drives well. If you want to see a full rundown of it, check this posting out. Unless you've been living in another hemisphere, or not, I think that most everyone has heard about Hurricane Sandy. If not, then, I'd like to know where you've been. As there were many folks just hammered by the storm, and were without power and or without internet service. And even a few lost lives and houses. Us in the Cleveland, Ohio area had our share of the storm. I'm one of the more fortunate, as we had a landlord who lives in the same building, (duplex) that hooked us up to generator power for a few hours each day. 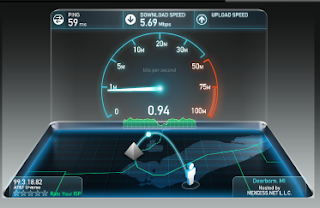 But our internet service was on and off, so I wanted to use my Android Phone, (Thunderbolt HTC) to get online. I really don't like to type more than I have to if I'm using a phone, or a touch screen. Since I was also lucky enough to still have a Verizon Unlimited Data Package, I wanted to flex that option. One of my G+ Geek Trucker Buds mentioned to use FoxFi for my phone, and turn it into a WiFi hotspot. FoxFi is a free App, etc. So, off I go tap tap tapping away on my phone to around the Google Play app selection. I find it, download it, and Install it, and ZOinK! No joy. I am informed by FoxFi that HTC has a locked up the WiFi or some such nonsense, but it suggests and supports Bluetooth. I don't have a Bluetooth connection for my computer, so I opt to search for a more mundane method of USB cable tether. I browse around on Google Play, and found the Demo Version of KLink. I install it, expect that I'll have to fire up Windows in order to get the PC side to work, but nope. Easy to follow links and instructions to DL a .DEB file to my phone that I can then install onto my Linux Mint 9 LTS endowed Acer PC. Viola! App is downloaded and installed, DEB file is found on Android via USB cable connection, I fire up a terminal session, as suggested, type in Klink, and Bingo! We're live on the interwebs with a good and speedy connection too! As the image below suggests. Man, I was so tickled, I bought the app, even though there are some freebie versions that are supposed to work, that I hadn't even tried at the time. So, I shelled out $4.99 for the app, and get the full version, as I don't feel like mucking around with anything else. 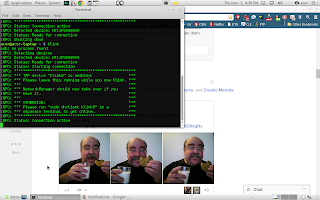 I was so happy, I had to celebrate with some cookies, milk, and a couple screen shots of my shenanigans. And I'm +1'd by a couple of other geek friends, Mat and Claudio. Thanks, Brandt, Stephen, and others for the suggestions of FoxFi. Looks like a nice tool, but not the right tool for my phone and this job. Thanks Christophe Versieux for the suggestion of ClockworkMod Tether, as it might do the trick, and while it IS free, I still had to DL and install g++ to make and compile it, something of a show stopper when you don't have any connections to do an apt-get install. Also, not something everyone would be willing or know how to tackle. Oh! About this "superstorm" word. "Hurricane Sandy wasn't a "superstorm." Not because it wasn't a "super" "storm," but because "superstorm" is an imaginary scare-term that exists exclusively for shock value." And now, I have to go make sure that I don't break my neck to change the time on a clock that was perfectly fine until some bastards (who are now dead, I'm sure) decided that we need to muck around with our timepieces in order to make them make more sense with the orb that we live on, and the one that gives use light and life. Yea, I'm against changed the time on our clocks twice a year. It no longer serves a purpose. Go AWAY Daylight savings!! I really wanted to document this a little bit more so I could have had a fresher brain dump of what I did for this post. I did a post back when Mint 9 LTS came out, about the changes and tweaking that I did to it to get it more like the Ubuntu (8?ish) experience that I had come to enjoy. Much of what I had done had become even more do-able with Ubuntu Tweak as that GAVE back much of what Ubuntu and Canonical and been shunting along the way to simplify the OS. You can't give someone a 5 speed, and expect them to be happy with "3 on the tree" with a newer model just for the sake of "simplicity". I also like the idea of the LTS release. As I do tend to add this and that to my system. So, for this update I decided to try out the Mint Backup Tool. While Mint backup does do some things simply, it's far from perfect. It also takes quite a bit of time for 200 gigabytes of data. Would I use it to easily pick and choose dir's that I'd want to back up to another drive? Definitely. Would I use it to back up my software selection? Absolutely. Getting a copy of your data to another location it worked very well. Where the problem comes in, or the pain, is when you do your restore. The APT repositories or PPA's that are on a default system are added automatically. Those that aren't you have to go back and add manually. Also, since I was moving from a Gnome2 system to MATE, I had some duplication of programs, such as Gedit, AND Pluma, XScreensaver AND Gnome Screensaver, but that proved interesting, as I have two monitors, and there were two different screen savers going at the same time. A Good majority of my dir's were given ROOT permissions, so I had to go back and change those later. I'm not sure if it was my fumbling around, by not restoring things in the correct order or not. 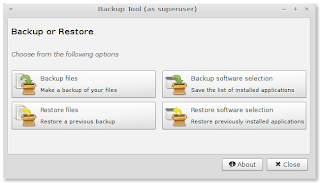 Meaning, I restored my software selection prior to restoring my file directories. The tutorial did it the other way around. 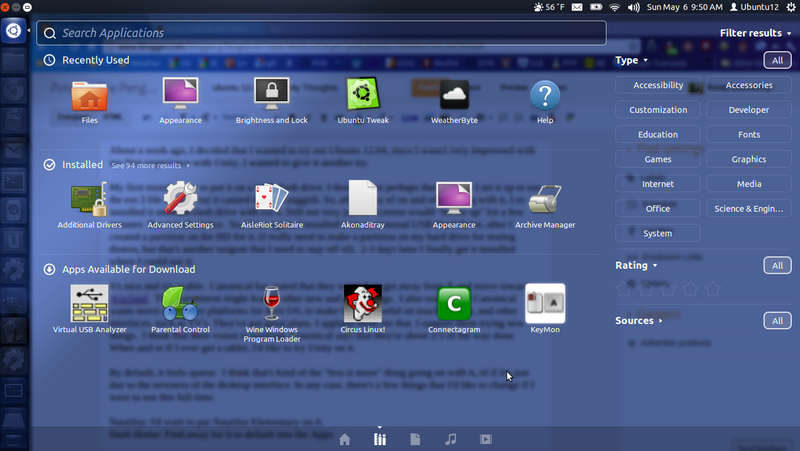 One of the first things that I added was the Ubuntu Tweak PPA, and Downloaded the Google Chrome browser via Firefox. Yes, I'm not as FOSS sensitive as some of my other Linux Brethren. I've also moved my music and plan on moving other large directories to another drive and link to them, so when I DO backup things in the future, they're more segmented. So, more or less whatever I've created is on one partition, and more static files, like Music, Videos, etc, would be on another. Overall, I'd say that the Mint Backup utility did it's job. It DID back things up well. Restoring was much quicker, than backing up. I'd give it 4 out of 5. 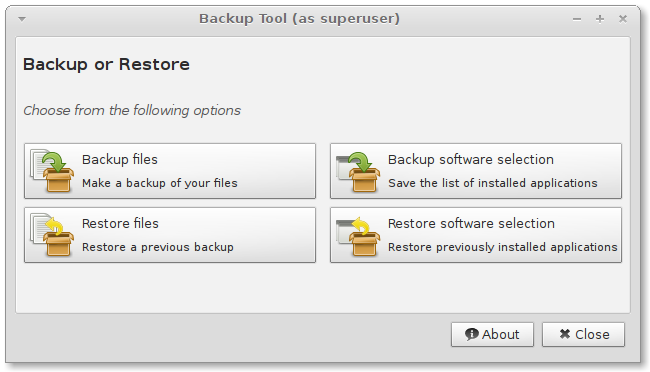 The ability to use a GUI to pick and choose what to backup or restore is slick. But some directories, such as my ./lastpass dir or any other "Piped" dir wouldn't backup, and hang the process, so you'd have to start over. With 200 GB, it took quite a bit of time. 8 hrs or more. On a system such as my wife's who's \home dir was only 2GB I suspect it would be much quicker, though, on her machine, I just did a clean install. So tell me, have you used Mint Backup? If so would you use it again? I don't know about you, but I don't like to print out a document, sign it, and then have to re-scan it back into the computer. This can happen a lot if you're also in the process of looking for a job. For this example, I also wanted to pay a little homage to Neil Armstrong, as he just passed away. Don Pablo Pereira, a reporter had a little story about a letter from Mr. Armstrong and I'll post a link to that at the end of the blog post. 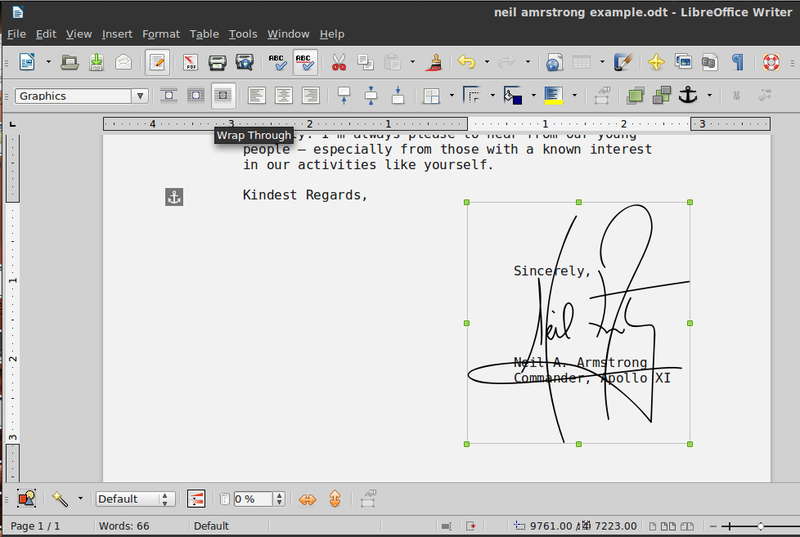 You'll need to also have created a scanned image of your own signature, that you will be using. If you need help with that, leave a comment, here or on G+ and I'll do a separate blog post about how to create your own digital signature with the GIMP. 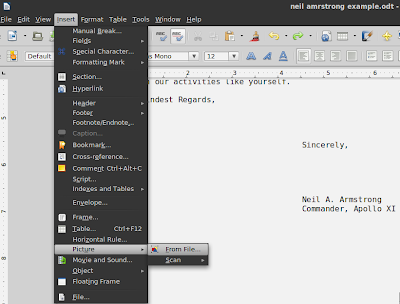 If you want, you can grab the document that I made in LibreOffice and edit it too. 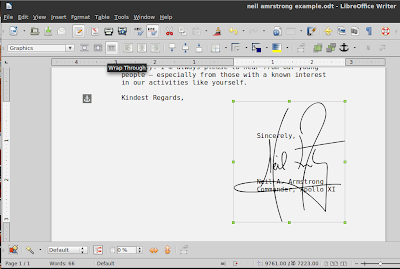 I imagine this will work in OpenOffice too, but I've not tested it with OpenOffice. Once you have your document open, you will want to import the image file. Be sure to have your cursor near the spot you want it to be imported to, if you can. Once you've done that, you'll notice that it's not lined up the way that you'd want it to be on your document as a signature. This is certainly not the way you'd have a signature show up on a real document! It's got to be fixed! It's an easy fix. Just go up to the top of the page and click on Wrap Trough. 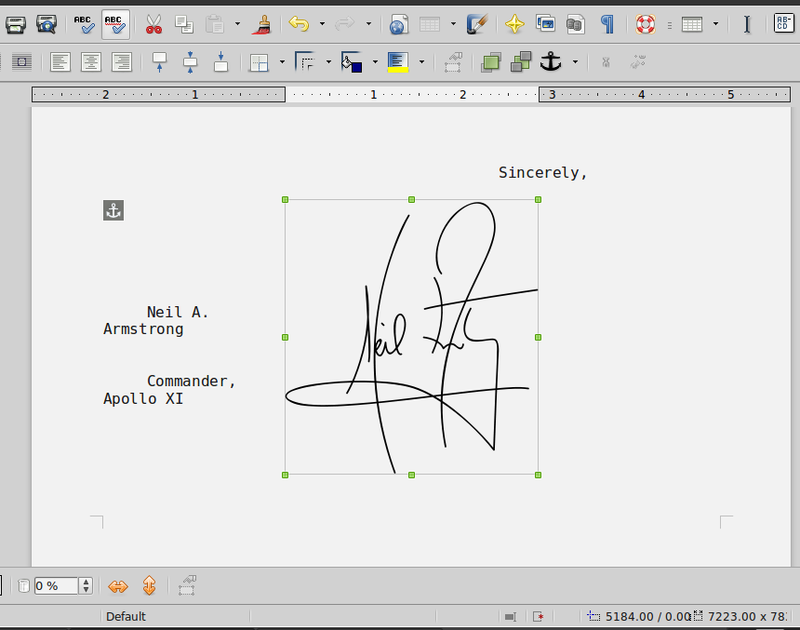 Then move your signature to the spot that you want it on your page, and save. Once you save it, print it to paper, if you want, or Export it as a PDF or Print it as a PDF. 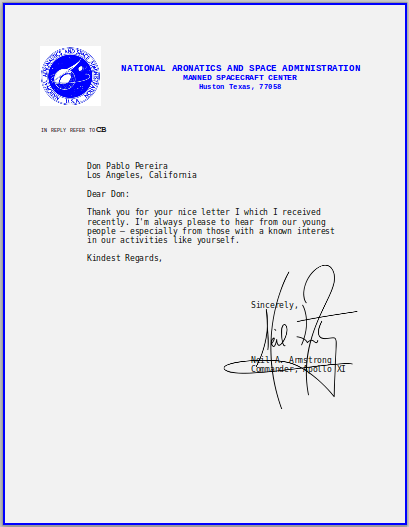 If you used my document, you'll also have a fresh .PDF of the same letter that Neil Armstrong sent Don Pereira. 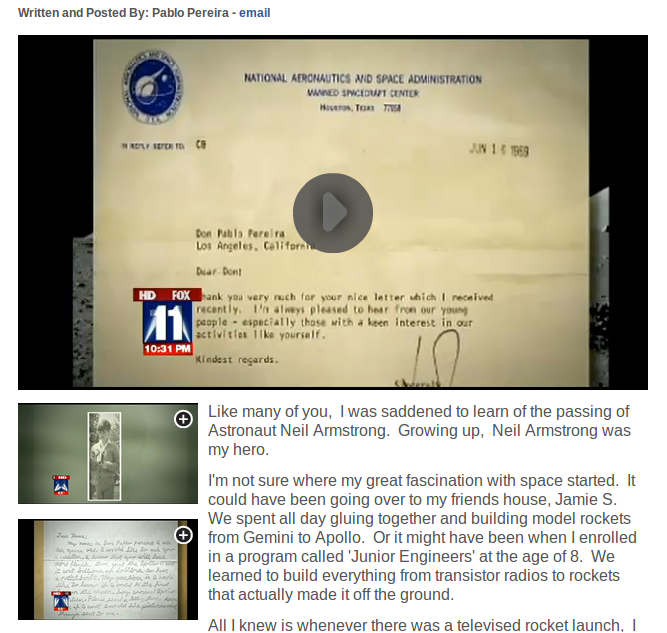 Don Pablo Pereira's real reply from Neil Armstrong. If you have any suggestions or comments, please feel free to leave them! How many others have struggled to get their documents signed, but didn't want to go through the hassle of print, sign, scan, save, etc? Do you have some stories of how you'd go about this? I tend to live dangerous. Sometimes the risk is a calculated one, like taking a friends picture and then messing around with the GIMP to create some "Photo Harassment". I suppose I ought to do a few blog posts and tag them here so I can "showcase" my crude photo edits. 1st, I want to thank Richard Querin for not sending me a pipe bomb in the mail after I "fixed" his photo. 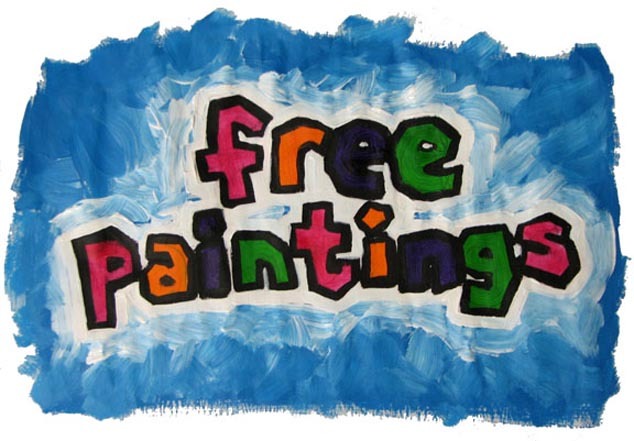 This one is a fairly quick and easy thing to do. First you want to select the eyes with the Ellipse tool, and once you've got the first Ellipse where you want it with your selection, press Shift and Click again to create a second Ellipse. Be careful it's easy to mess up and end up with to many Ellipse's. Note: At this point you might want to save the file as an .xcf file if you've done any cropping, etc, just in case. Ok, so now that you've got both eyes selected, you need to filter the selected area. Menu > Filters > Distort > Iwarp. Alright, now that you've got the Iwarp filter up, you can choose how you want to animate the eyes. Shrink, Grow, ect... Make your choices, and then select the Animate Tab, and also make some selections, I usually leave the defaults as they are, and choose 3-6 frames. Remember each frame is going to make the picture larger, and take it longer to load. Now save your file as a .gif, and make sure you save it (or export is it says) as an animation, or else, everything you've done so far will not come out. 3 Quick Tips for New G+ Users. Today on G+ a fairly popular and successful blogger joined up and was asking about it, as it seemed confusing to him. It also reminded me that I've not made any blog posts in some time, and it was time for me to rectify that. This post is partly to clarify what's going on with G+ and the things about it that make it different from Facebook. G+ is far from being a dead place if you just join in with a couple of conversations, you can easily, like I did today, spend a good part of the day discussing a topic. Where I think some people fail with G+ is that they don't post a few Public Posts, AND Don't fill in their profiles, so if their profile is visited after they make a comment, another person knows what circle to add them to. Another mistake to avoid as a new G-plusser would be to put EVERYONE into one circle. DON'T DO THAT! Keep in mind that you can have people in ALL of your circles if you want, or just a few. It's all up to you. I have many people in two or more circles, as they might be a [Close Friend] And a [Geek]. 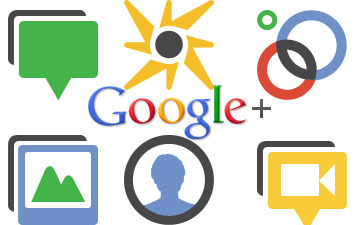 One of the great new things that G+ had was the Hangouts. This is like a group chat forum but with video, in real time. (Watch out Go To Meeting!) It works on all Three major OS platforms. Linux, Windows, and Apple. It also works for some Android phones. You can also control who sees your hangout invite. It can be just 1 person, a circle, or public. Also, you don't HAVE to have a video cam on your computer, but it helps. You DO need to at least have the ability to speak and listen. Got a Question? Post it here, or on G+ as my comments are moderated 14 days after a post. Open Sourcey Peoples = Links Lead you places. Shortlisted for 2012 Millennium Technology Prize. This was cut and pasted from http://www.cs.cmu.edu/~awb/linux.history.html I added some color to it to help with the ease of reading. Judging from the post, 0.01 wasn't actually out yet, but it's close. been ported to other architectures by now. proud of it not to mention it). Still before any release-date. - still no init/login: you get into bash as root upon bootup. - minix still has a lot more users: better support. are probably quite a few bugs yet. linux. That changed with 0.12. - it's fun to hack on. - a lot more... read my .plan. minix, IMHO), and it was/is fun working on it. as that was all I had. Actually, 0.12 was out January 5th, and contained major corrections. 0.12 actually worked quite well. and I would appreciate if you could take time to answer 'em. About a week ago, I decided that I wanted to try out Ubuntu 12.04, since I was disappointed with my first experience with Unity, I wanted to give it another try. My first mistake was to put it on a USB flash drive. I thought that perhaps that because I set it up to use the ext 3 file format that it caused it to be sluggish. So, after a day of on and off fiddling with it, I re-installed it onto the flash drive with ext 4. Still not very joyful. Screens would "freeze up" for a few minutes But it looked nice. So, Once again, I installed it on an external USB Hard Drive, after I created a partition on the HD for it. (I really need to make a partition on my hard drive for testing distros, but that's another tangent that I need to stay off of). 2-3 days later I finally get it installed where I could use it. It's nice and it's usable. Canonical stated that they wanted to get away from X and move towards Wayland. This movement might lead to other new and great things for the Linux world. I also realize that Canonical wants move onto other platforms for their OS, to make Ubuntu useful on touch screens, and other interfaces, such as TV's. They've got great plans. I applaud them for that. I support them trying new things. I think that their vision is working. Canonical says that they're about 2/3 of the way done. When and or If I ever get a tablet, I'd like to try Unity on it. By default, it feels sparse. I think that I'm finding my self with a love/hate thing going on with dash. I think that's kind of the "less is more" thing going on with it, of if it's just due to the newness of the desktop interface. In any case, there's a few things that I'd like to change if I were to use this full time. Dash Home: Find away for it to default into the Apps Filtered Results view, as an option, and move it to the left of the screen, since everything else is on the left, why traverse across the screen to click on the lists? Nautilus: I'd want to put Nautilus Elementary on it. 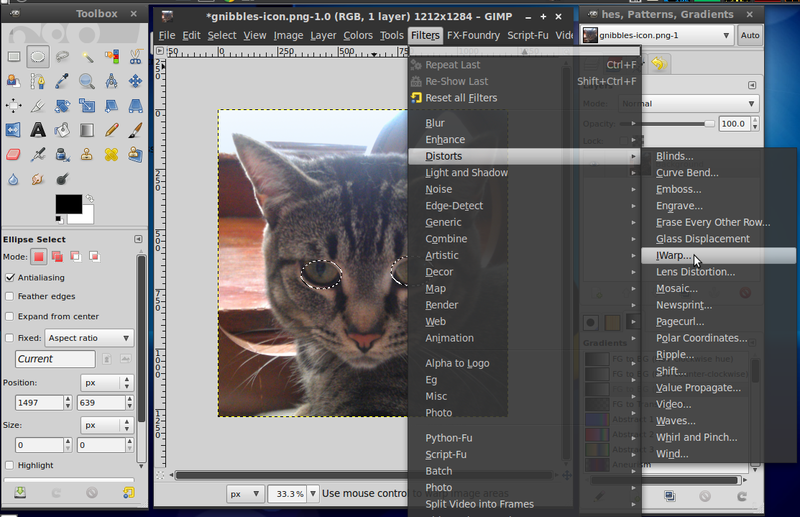 A viewer such as gThumb or FSpot that allows one to quickly edit (crop mostly for me) an image. If all I want to do is view an image, Nautilus handles that ok. Some of the changes are kinda snazzy. Dash Home, bringing up the list of the most recent apps does look like it could be useful. I never made use of the "most recent docs" in the old gnome menu, as my mouse never ventured that way most of the time. This, being presented to me like this does seem to be a positive and useful change that I'd use. The use of opacity in the menu's etc. Looks really shiny and well polished. The Ubuntu Software Center, and the suggestions that come up in Dash. I downloaded Chocolate Doom. It was kind of nice to re-visit DOOM for 20 mins. (My Trackball even worked well!). When there's a program notification the "shaky" icons in the launch bar are nice touch, along with the snapshot sound when you take a screenshot, along with the little pop when turning the volume up or down via my keyboard buttons. All in all I think that they've done a good job with a lot of the design, and usability of Unity.